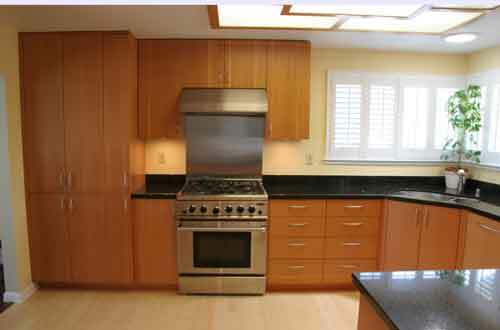 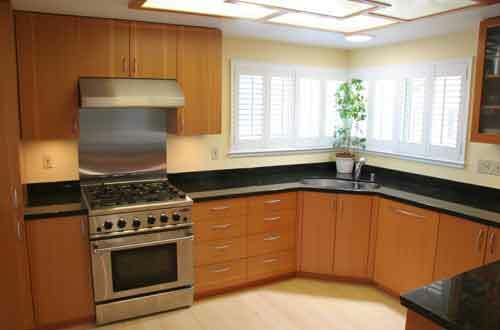 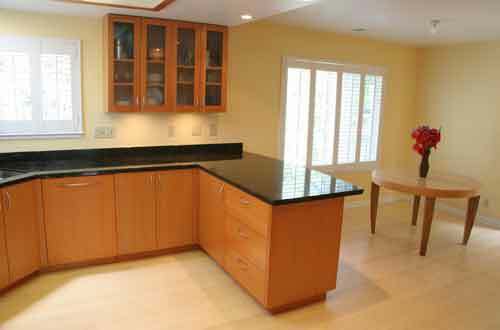 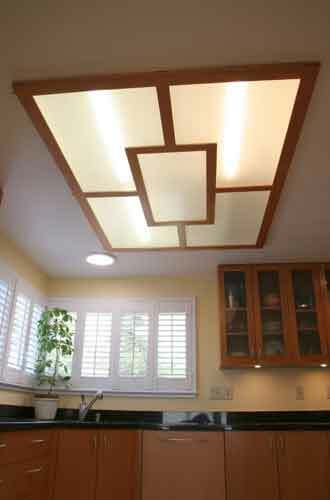 We were responsible for the cabinets and kitchen design with collaboration from the owners. 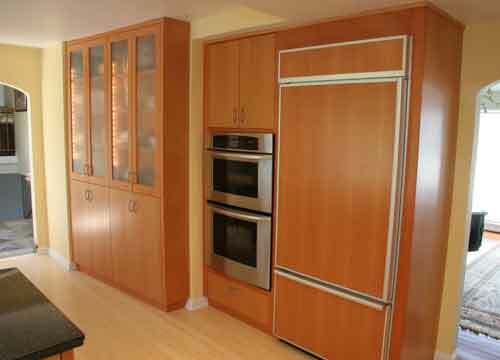 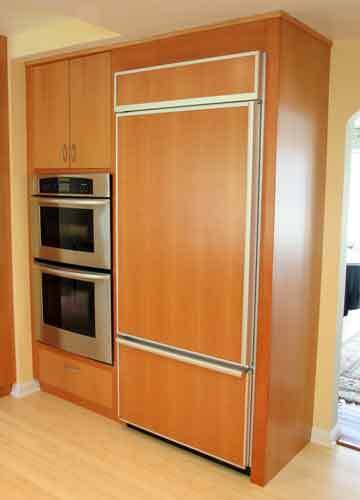 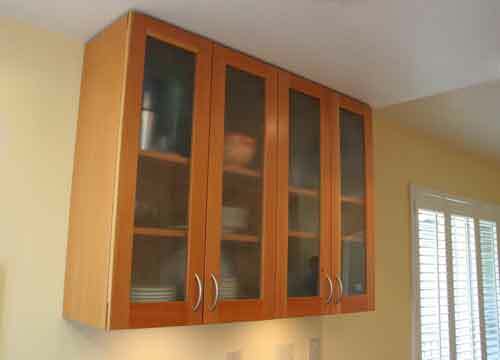 The cabinets were made from vertical grain Fir with stainless pulls. 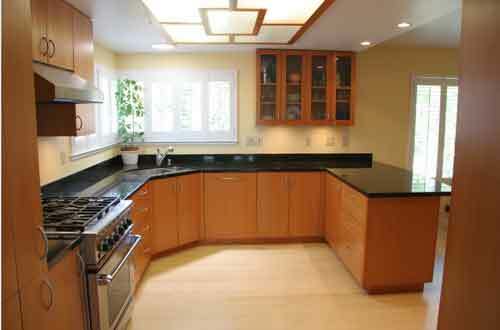 The floors are bamboo and the counter tops are black granite.